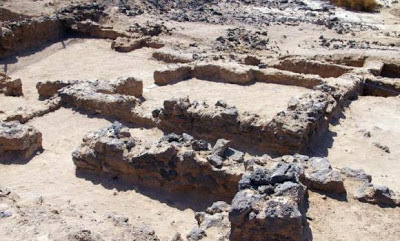 ARABIE SAOUDITE – Al-Ateeq valley - Archaeological excavations carried out by a team from Saudi Commission for Tourism and Antiquities (SCTA) have revealed a palace dating back to the 7th century AD in Al-Ateeq valley of Madinah region, an SPA report said on Sunday. Dr. Khalid bin Mohammed, the head of the excavation team, said that the discoveries in the site included a variety of pottery, glass, stone tools and steatite utensils. The palace is believed to have been built during Umayyad regime, known as the second of the four major Islamic caliphates that came after the death of Prophet Muhammad. FRANCE – Thézy-Glimont - Découverte exceptionnelle de vestiges archéologiques de l'époque gauloise. Il s'agit de fosses avec cortège homme-animaux sacrifiés. Ce type de vestiges n’a pour l’instant que deux exemples de comparaison dans le centre de la France. Deux zones, prescrites par l’Etat, font l’objet d’une fouille préventive depuis le 5 novembre, sur une superficie totale de 2 ha près du cimetière de Thézy-Glimont, à l'est d'Amiens. La première zone de 7 500 m² a été explorée en 2012, la seconde zone de 12 500 m² le sera en 2013. 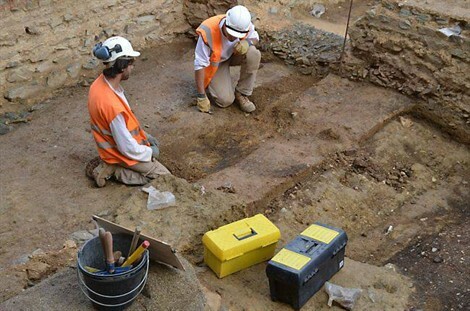 Un diagnostic archéologique a été mené fin juin-début juillet par le service Archéologie préventive sur 5 ha, motivé par la réalisation d’un lotissement d’une cinquantaine de pavillons. A partir de ce diagnostic, l’Etat a prescrit deux zones de fouilles. USA – Caulk's Field - Nearly two centuries after the fight at Caulk's Field, the state is digging up artifacts in an effort to piece together an American victory over the British. The DNA of a battle that helped turn the tide of a war going horribly wrong for America lay buried just 6 inches below a Maryland cornfield. For nearly two centuries, musket balls, canister shot and other artifacts from intense fighting at Caulk's Field waited to tell the story of a sweltering August night in 1814, when militiamen sprang a trap on a British raiding party bent on destruction. Late on Aug. 30, 1814, Parker's troops came ashore from HMS Menelaus, hoping to surprise and capture Maryland militiamen to get information about Baltimore's defenses. The British already had burned Washington. They were preparing a siege of Baltimore and hoping to wipe out pockets of resistance across the Chesapeake. But the Americans knew the British were coming and ambushed them. During the hourlong battle, 14 British soldiers and marines died, including Parker, 28, who bled to death from a gunshot wound. Three Americans were wounded. With their commander dead and the Americans holding the high ground, the British invaders retreated to their ship. Two weeks later, they pulled out of the upper Chesapeake Bay when their siege of Baltimore and bombardment of Ft. McHenry failed. FRANCE – Rennes - Les fouilles menées sur le site depuis décembre 2011 ont permis de se replonger dans l'histoire du site. Un succès populaire, comme on l'a vu lors des Journées du patrimoine où plus de 7 000 visiteurs sont venus parcourir le passé du couvent des Jacobins. Comme un grand livre, ouvert par l'équipe d'archéologues de l'Inrap qui travaille sur place. Cette fouille urbaine, réalisée sur 8 000 m 2 , est l'une des plus importantes jamais menées dans l'Ouest de la France. Elle s'achèvera fin février, dans un mois et demi environ. À l'intérieur du couvent, dans le jardin du cloître et dans les cours extérieures, les archéologues ont recherché le quartier antique, étudié son évolution en faubourg médiéval. Parmi les découvertes les plus spectaculaires, plusieurs centaines de sépultures car le couvent était un important lieu d'inhumation du début du XV e au XVIII e siècle. Cet ancien couvent de l'ordre des Frères prêcheurs, installé en ville dès le XIII e siècle, a vécu aussi la célébration des fiançailles d'Anne de Bretagne et du roi Charles VIII, en 1491. BELGIQUE – Néchin - Une étude d’archéologie du bâti et plusieurs sondages ont été effectués au Château de la Royère, en 2011 par le SPW, et ceux-ci ont contribué à revoir les connaissances historiques acquises jusque là. Les diverses informations apportées par ces investigations ont d’abord conduit à mieux appréhender l’élaboration d’une résidence castrale du 12e siècle et ensuite, sa transformation en point stratégique militaire, au début du 14e siècle. Enfin, cet édifice incarnerait un des rares témoins des constructions de l’administration de Philippe le Bel, encore en élévation dans le comté de Flandre. 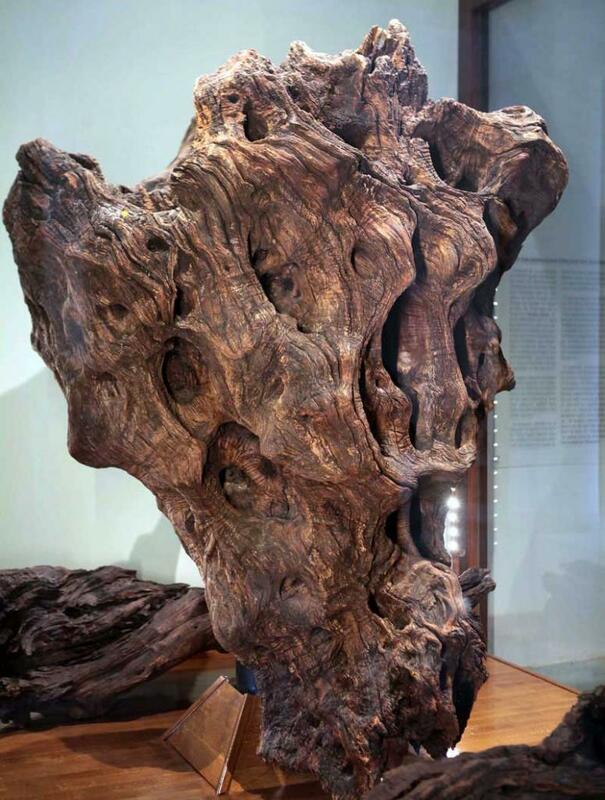 GRECE – Iera Odos - The General Directorate of Antiquities and Cultural Heritage clarified that Plato’s sacred olive tree which stood at Iera Odos until 1976 was uprooted on October 7, 1976, after a bus ran into it. The broken part of it was transferred to the Agricultural University of Athens, were it has been preserved and displayed since then. The tree has not been stolen to serve as firewood, as it was reported last week by local and international media. In its place, a new tree was planted by the Agricultural University of Athens. This tree had three trunks of 30 cm diameter each. One of them has been removed on January 6, 2013, but according to the General Directorate of Antiquities, it was dead. The other two remain intact. SRI LANKA – - The Archaeology Department requested the Sri Lankan High Commission in England through the National Heritage Ministry to send correct details about the moonstone, believed to have belonged to the Anuradhapura era, to be auctioned in London, the department’s Director General Senerath Dissanayake said. The Director General said even though it is said the moonstone belonged to the Anuradhapura era, there is no evidence to prove that moonstones were taken from Sri Lanka in the 1950s. The Archaeology Department was set up in 1890. Department records do not show any moonstones being taken out of the country since then, he said. Deputy Director Dr Nimal Perera said if it is proved that the moonstone belonged to Sri Lanka, action will be taken to return it to the country. A report in the Daily Mail in London said a Sri Lankan antique which was of archaeological value, belonging to the Anuradhapura period, was to be auctioned in London on April 23. 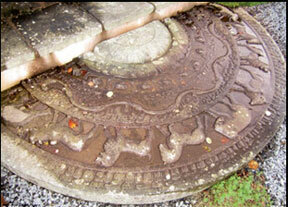 The report said it was found that a British planter had taken the moonstone from Sri Lanka in the 1950s. 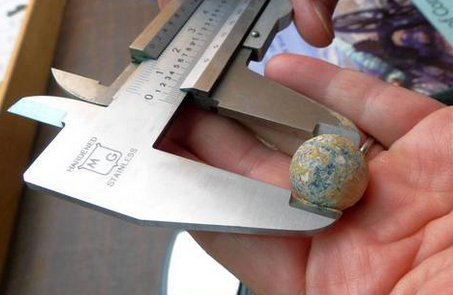 It was also revealed the moonstone weighing about a ton, was about 1,300 years. It was placed at the back door of the planter’s residence, situated in the county of Sussex. It is said that after the planter’s death, his daughter owned the property which she sold later. The new owners, aware of the moonstone’s archaeological value, had sold it. An auctioning company named Bonham, had valued it at 50,000 sterling pounds ( Rs 10 million). The previous owner had told that her father brought the moonstone in the 1950’s and she was not aware it is from Sri Lanka.